All natural Meditalia Pestos and Tapenades are a simple, tasty way to incorporate the healthy Mediterranean diet into today's active and demanding lifestyle. All natural, Cholesterol, Gluten, Dairy-Free, Vegan, & Kosher. Cooperation never tasted so good! Meditalia is made possible through business partnerships among Israelis & Arabs. Shared wallets lead to shared visions of the future. 5% of profits go to OneVoice, a movement that empowers moderates at the grassroots. PeaceWorks believes that personal contact between these groups will shatter cultural stereotypes and help people live together peacefully. Five percent of the profits from MEDITALIA™ Pestos and Tapenades go to support the PeaceWorks Foundation to foster peaceful co-existence in the world. This delicious vegan pesto is made without the usual cheese that makes most other pesto non-vegan. 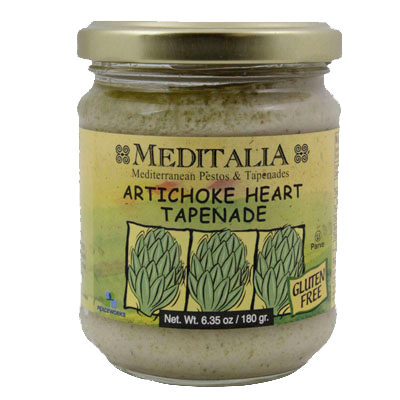 Straight from the jar, it is perfect on pasta, bruschetta, in soups, or on anything else you desire! 6.35 oz. (180g) container is $5.29. Kosher. Meditalia is made possible through business partnerships among Israelis & Arabs. Shared wallets lead to shared visions of the future. 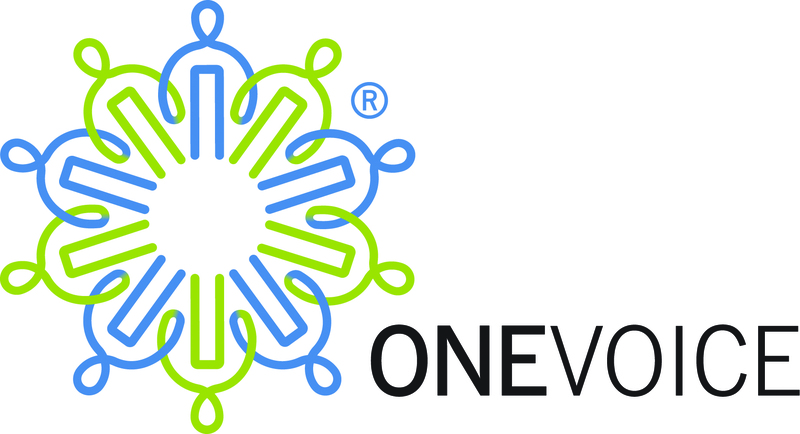 5% of Meditalia's profits go to OneVoice. OneVoice is an international grassroots movement that amplifies the voice of mainstream Israelis and Palestinians, empowering them to propel their elected representatives toward the two-state solution. The newest member to the Meditalia Family! Enjoy this with pita chips, on pizza, in sandwiches, on chicken and more. Click To Launch Store Locator! 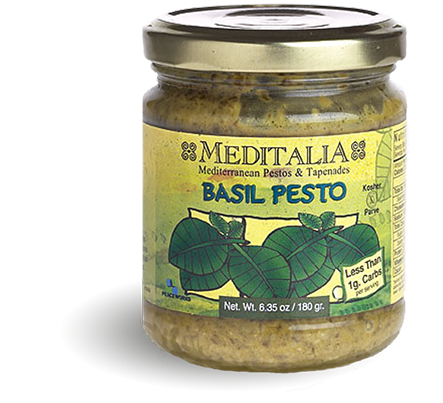 "Best Pesto in a jar, hands down." "Always have a few jars in my cupboard..."
"I went through a jar in a week." "Goes great mixed in with pasta or on bruschetta"
MEDITALIA Tapenades and Pestos are produced in Israel through cooperation between Israelis, Arabs and other neighbours. The olives are grown in Palestinian villages, the glass jars are made in Egypt, and the sun-dried tomatoes come from Turkey. 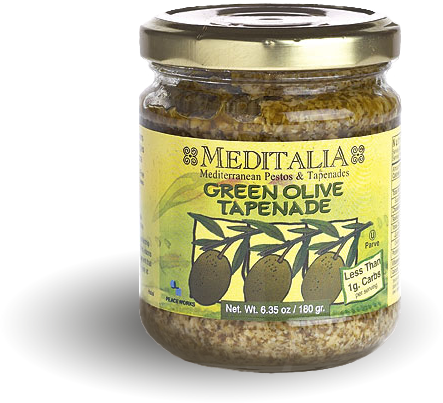 Five percent of the profits from MEDITALIA Pestos and Tapenades go towards fostering peaceful co-existence in the world.